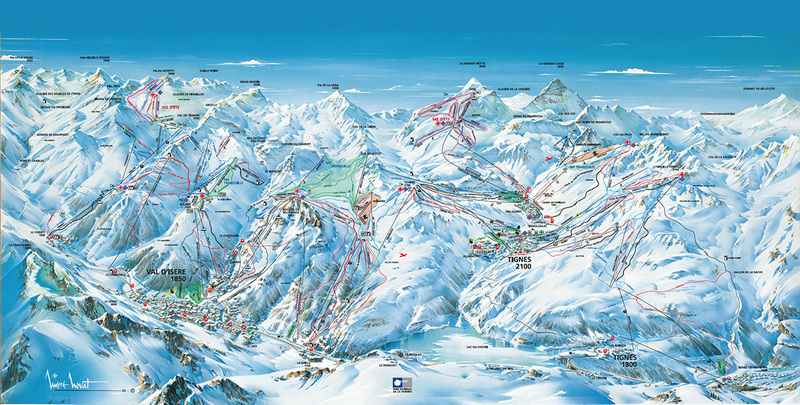 Tignes is somewhere you can ski longer, higher and further than most other resorts in the Alps. This snow sure resort combined with the Grande Motte glacier and Val d’Isere’ and forms the Espace Killy, totaling over 300km of groomed piste and endless off piste. Topping out at 3456m the Espace Killy is a favorite for those looking for reliable early and late snow. With the glacier opening in October the rest of the resort not long follows, opening late November through till early May. Lift pass Prices will be released here shortly, you can buy passess direct from the lift pass office here . Tignes has a massive selection of alternative non skiing activities, for an extreme to fun for all the family, Tignes has lots to offer. Ten-pin bowling and pool tables available in the evening after a day on the mountain or during bad weather day, live sport on the big screens is also available. €10 per game, good bar & friendly staff. The ultimate new attraction to Tignes is a must for those looking for an adrenaline kick – jump a 30m ramp falling off into a 40m drop on bungee cords into a zip wire taking you back to firm ground with a scream. The perfect activity for all the family, free ice-skating on Tignes’ frozen lake. An open-air 800m2 surface ice rink divided into 2 zones – game/ice hockey and a fun zone. Free access & skate hire with Espace Killy ski pass. snowshoes allow you to walk with ease through the snowy tree lined trails allowing you to enjoy the quiet wilderness. Enjoy free swimming at the Lagoon with your Espace Killy ski pass. There is a 25m sports swimming pool, water slide in the fun pool, bubble bath, waterfall and paddling pool. For those looking to keep fit off the mountain then there is a weights and fitness room plus a programme of different exercise classes. Tignes has a number of trails which are accessible for hiking, marked and maintained paths offering a peaceful way to enjoy the mountains. Get trail maps and updates from the tourist office. Evolution2 offer full or half day guided excursions.